By popular request, we are now offering use of our hydrotherapy and heat experiences as a stand-alone treatment or as an add-on to any spa treatment. 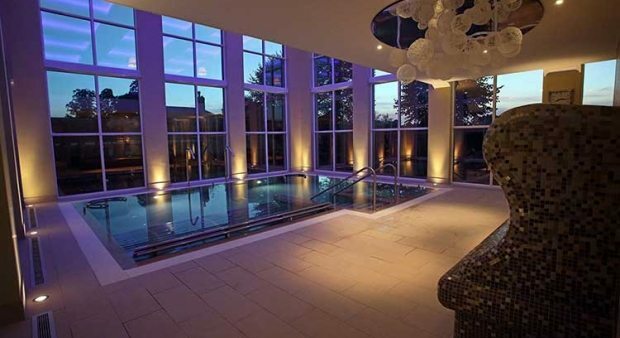 Come to our Luxury spa in Newmarket to relax and indulge in five different water experiences on hand in the spacious mezzanine hydrotherapy pool. Relish in the fresh air, enveloped in the warm waters of the rooftop hot tub, or stimulate the senses with a combination of music, lights and water in the experiential showers. This also includes full use of the steam room and modern sauna. When you book a treatment available Monday – Thursday – £30pp Upgrade. Available Friday, Saturday or Sunday for £50pp. Available Friday, Saturday or Sunday £70pp. Stimulating circulation with the water jets and the heat of the pool. Great for cold conditions, water retention, cellulite. Relieves muscular tension – especially the swan neck fountains with the water pressure on the neck and shoulders. Stimulates the static lymphatic system with the motion of the jets.